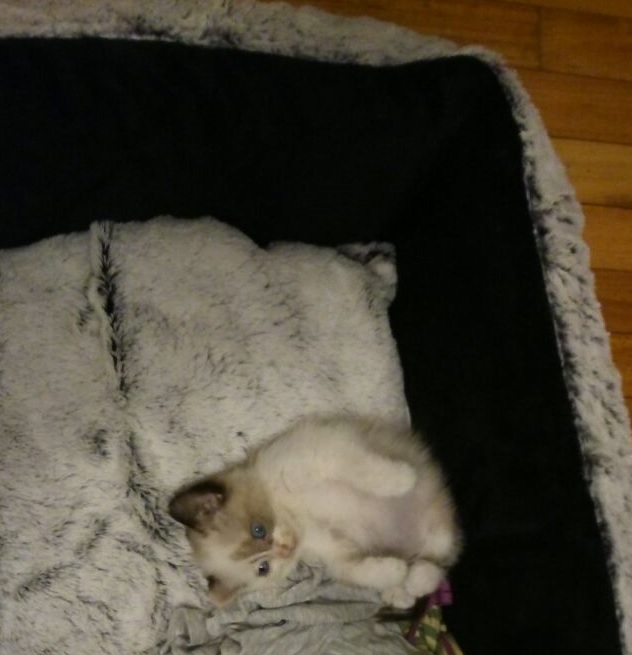 haha I know, looks like a teddy, It's really small , she only has 4 weeks , today she is going crazy jumping all over the house. Thanks! Dallas was just rocking a cone for 10 days, got it off today. He had one of those soft blue ones, though. Lesser of two evils. The mother died, the mother was an abandoned cat, a friend of mine used to feed her, she had a litter of kittens, and one day they when they went to feed her they found her dead. She was hit by a car, my friend took the baby cats to his house, they have been bred to bottle. But he can't keep them all so as he knew I was sad because I lost my cat not long ago he gave me this one. It's a lot of work at the moment because it's very young and requires lots of attention. But it's worthy. but the babies are all well.